CINCINNATI -- For the first day of school at Archbishop Moeller, students were greeted by fresh coats of paint and shiny new floors, all installed with some assistance from the University of Cincinnati College of Design, Architecture, Art and Planning. 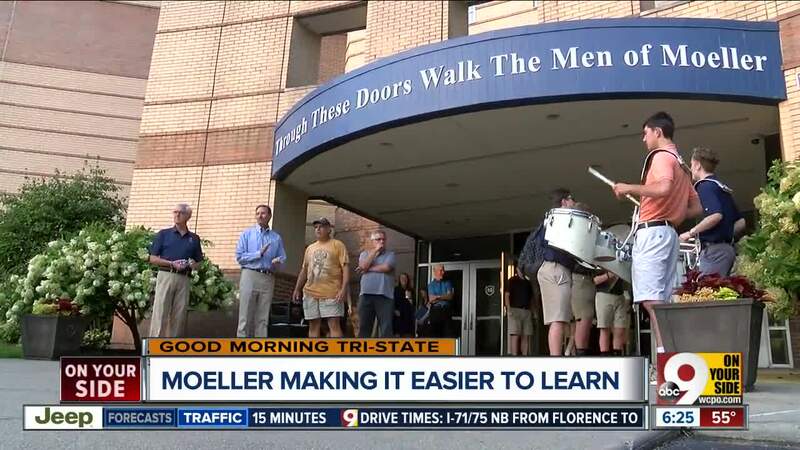 "The term for this classroom is 'classroom 2.0,'” Moeller High School academic dean Christine Brookbank said. The $3 million improvement project includes different lighting and flexible seating. The plan also includes a built-in surround sound system and new carpeting. Moeller is looking forward to renovating its third floor sometime next summer. “We are in such a critical time in education,” Brookbank said. “I always tell teachers and students we don’t know what the careers are going to look like in the future, but we have these state of the art learning facilities that will support us being able to address those needs about how we’re best preparing our students."